New York City is ranked #2 on the Forbes “America’s Most Stressful Cities” list. And for good reason. The hustle and bustle is anxiety-inducing enough for anyone. When you add the pressures of working long hours and paying rent every month, you’re going to need a few ways to reduce stress. Lucky for you, in the city that never sleeps, there are plenty of unique ways to reduce stress when you need it. Do you remember the scene from Hook when Jack smashes every alarm clock in sight? 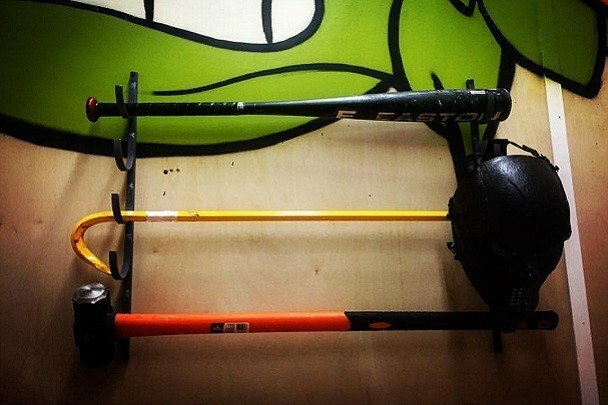 Have your own (safe) destruction therapy session at The Wrecking Club in Midtown. Throw plates, break glass and take a sledge hammer to computer screens to blow off some steam. Don’t have the PTO or time to escape the city? 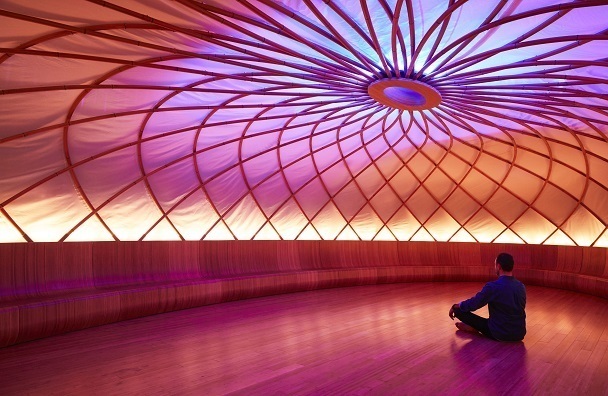 Find your zen without leaving the island at Inscape, an immersive meditation and relaxation experience. Book a session for quiet time away from the distractions of everyday life in their beautifully modern studio in Flatiron. Need a quick break to detox? 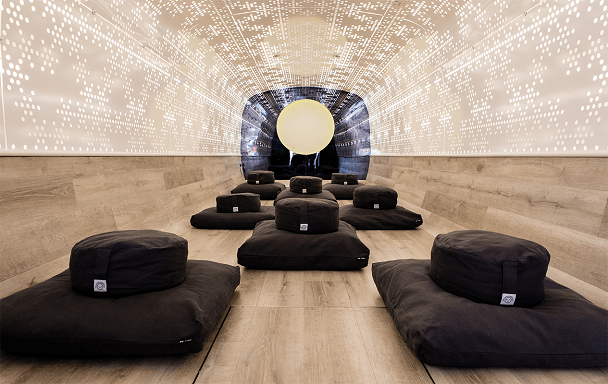 Follow Be Time on Twitter for daily location updates on their mobile meditation studio. A perfect fit for those on the move but in need of some self-care, Be Time’s meditation sessions incorporate aromatherapy, chromotherapy and weighted blankets. And they take walk-ins! Physical activity is a well-known stress reliever. But skip the treadmill and hit the Asphalt instead. Asphalt Green that is on the Upper East Side for their AG6 PRAMA technology workout. 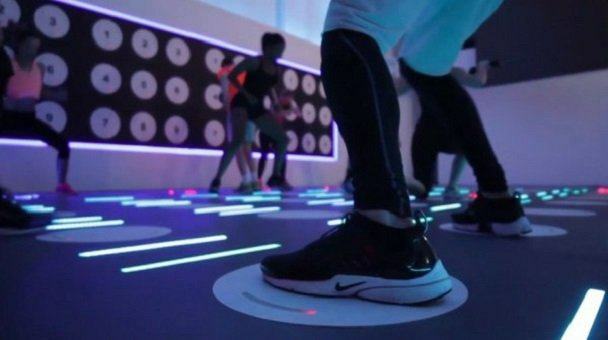 Be a part of a real life video game, featuring pressure sensitive walls and floors that come alive with LED light and sound to create an immersive fitness experience. Sometimes all you need is a nap, and Nap York gets it. They REALLY get it with an entire floor dedicated to you guessed it: napping! 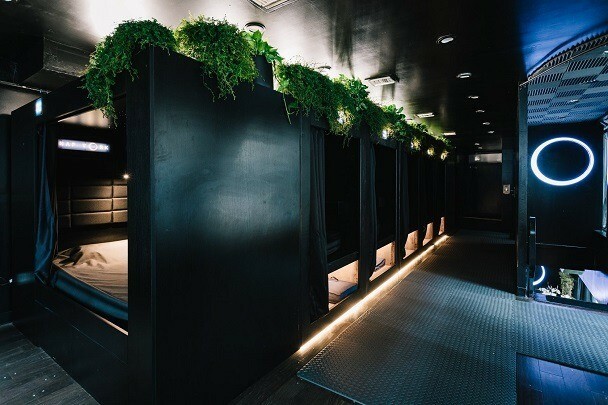 Relax in one of their eco-friendly pods and grab a healthy juice on your way out to recharge. Caitie Lowrey is Atrium's Content Manager and a contributor to The Career Column and HR Blog. With experience as both a writer and recruiter, she offers insider tips and career advice that is both valuable and relevant to today’s job seeker and employer. We can't wait to be a resource to you in your job search and beyond! Sign up to receive career advice straight to your inbox. QUIZ: Which Female Leader Are You Most Similar To? Do You Know Who You’re Working With?